Compact 2-Way Floor Monitor speaker system comprising of a single 15” Full Range Dual Cone Speaker and a Piezo Horn Tweeter. The unique multi functional trapezoidal design of the enclosure for effective floor monitoring in various indoor & outdoor applications. 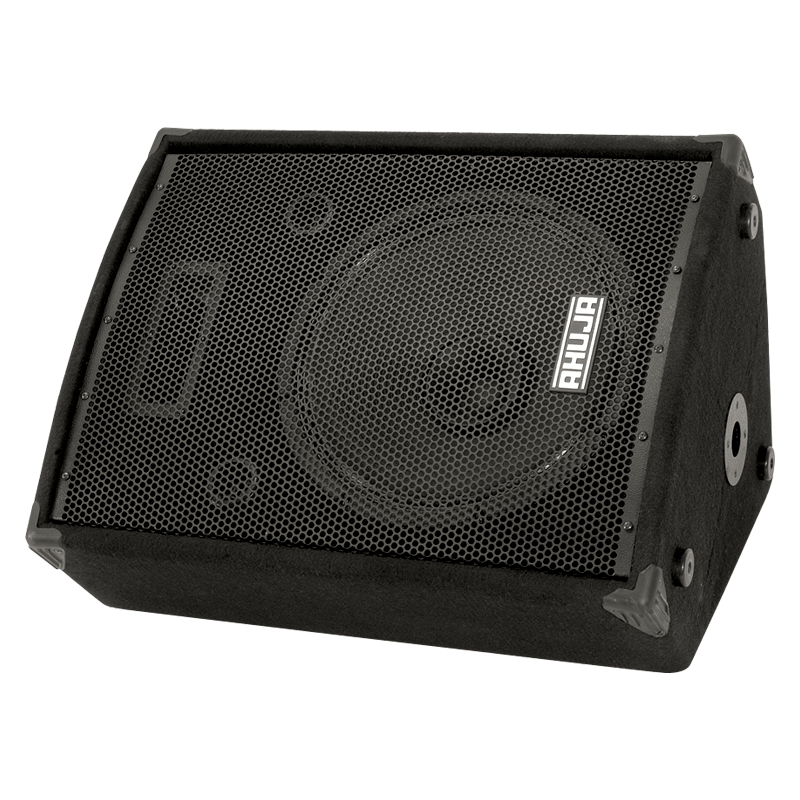 The system is housed in an acoustically treated Bass Reflex enclosure made of 18mm board and carpet covered. An On/Off switch for the piezo speaker is provided to limit extended HF, if desired. Stand mount adaptor is provided at the bottom.